We have several 1-page handouts that can be used as a reference or printed. Several handouts also have an accompanying word list, so each image on the handout can easily be viewed as a sign video. Some handouts are available for free while others are only available to Signing Savvy members. These handouts are available for anyone to use. 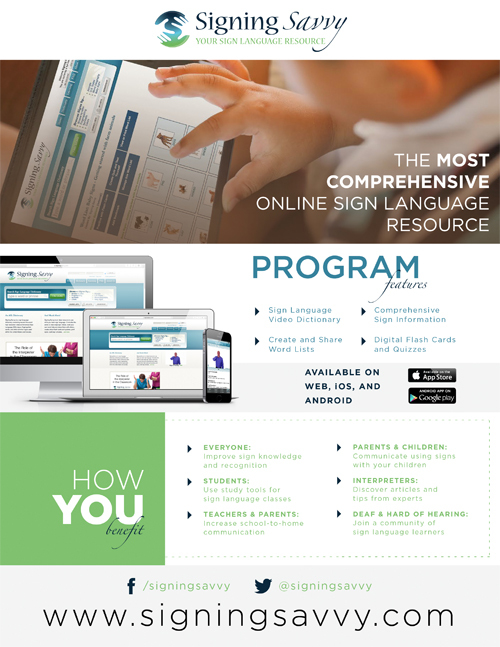 This handout can be used to provide an overview of the features of Signing Savvy. 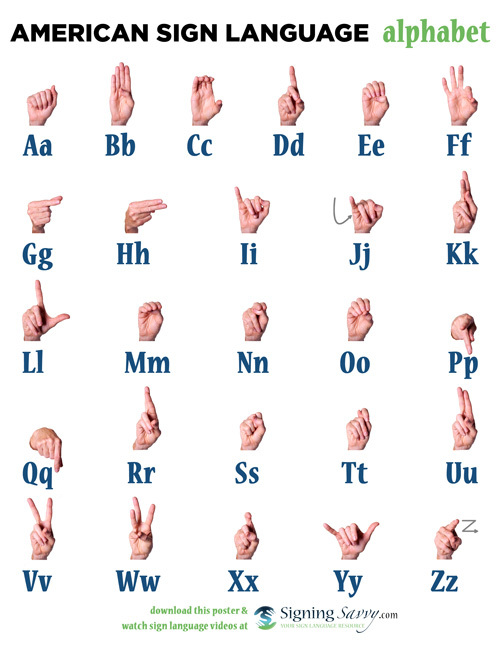 This handout includes the alphabet with both uppercase and lowercase English letters and an image of the fingerspelled letters in American Sign Language. 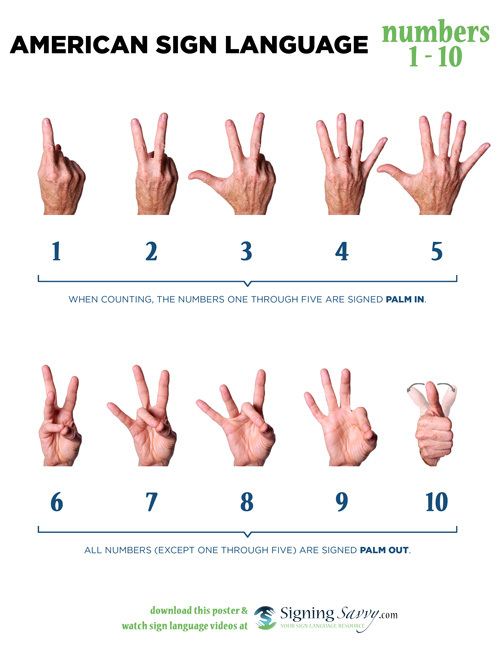 This handout includes the numbers 1 through 10 and an image of the sign in American Sign Language. 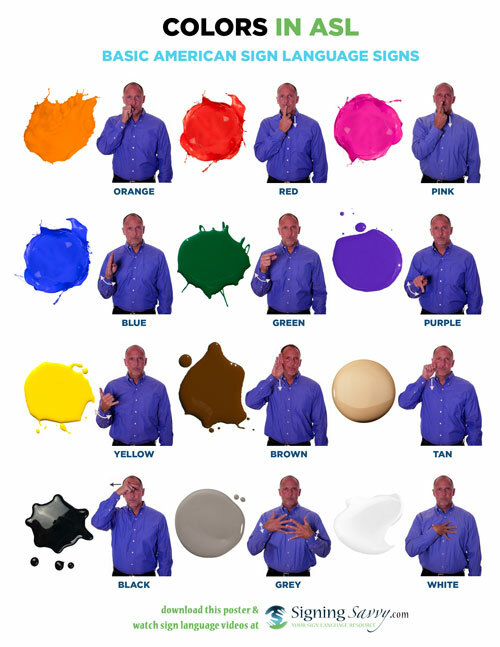 This handout includes colors and the sign in American Sign Language. These additional handouts are available for Signing Savvy members to use. 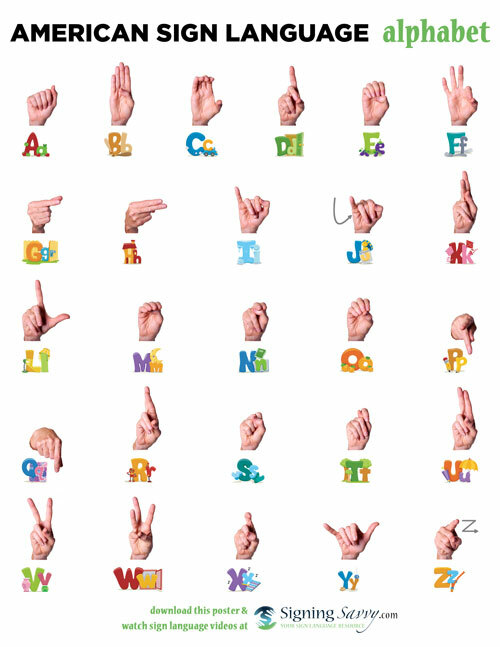 This handout includes the alphabet with both uppercase and lowercase English letters in a cartoon font and an image of the fingerspelled letters in American Sign Language. 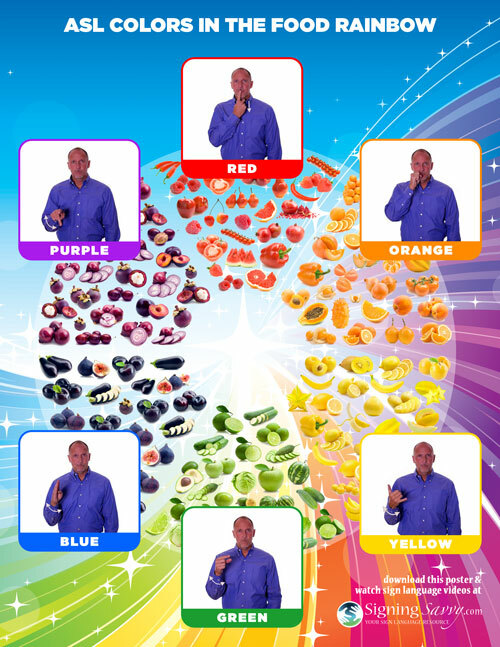 This handout includes colors on top of a food rainbow and the sign in American Sign Language. 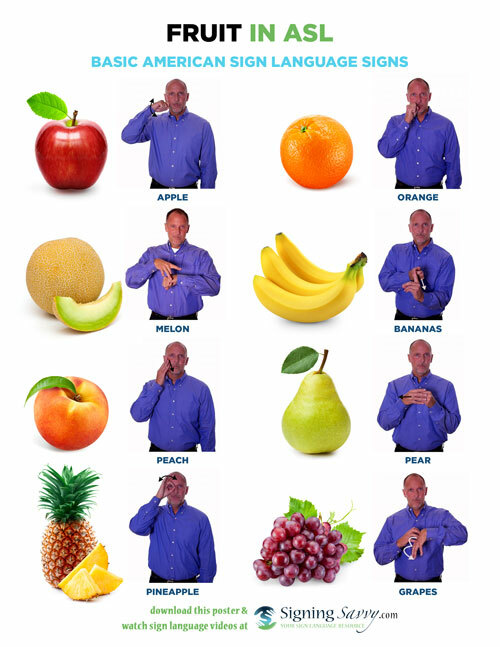 This handout includes different kinds of fruit and the sign in American Sign Language. 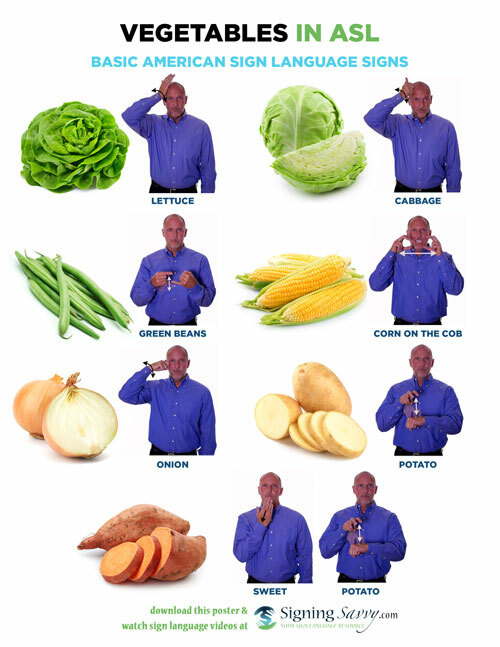 This handout includes different kinds of vegetables and the sign in American Sign Language. 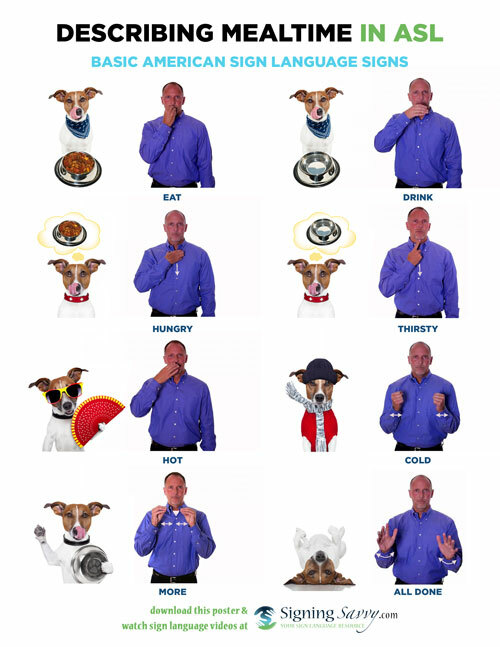 This handout includes ways to describe mealtime and the sign in American Sign Language. 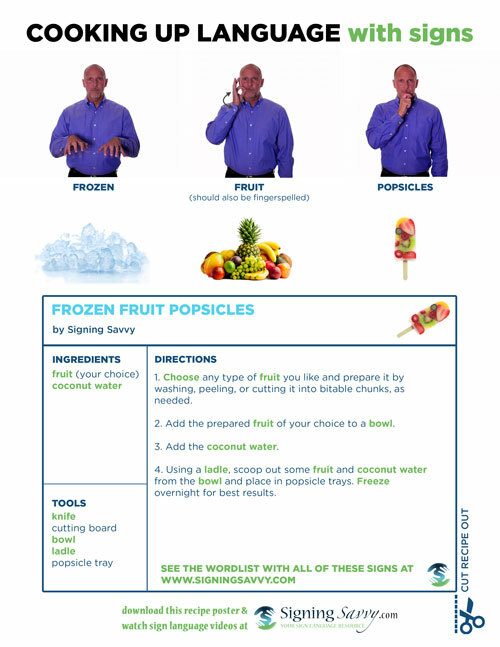 This handout includes a recipe Frozen Fruit Popsicles. This handout includes an example schedule for a day and the sign in American Sign Language. 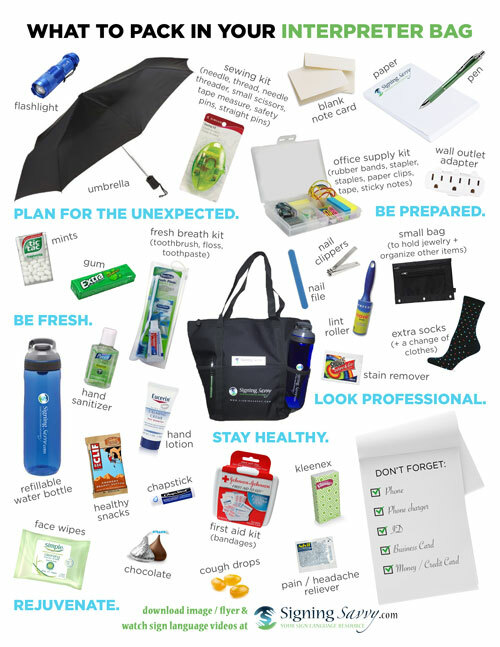 This handout is on what to pack in your interpreter bag.